Wow, it’s been quite a long time since I’ve last posted an update since there hadn’t been notable progress made on any of my projects lately. In an effort to re-motivate and inspire myself I decided to attend TIGJam 3, which is an annual event held by TIGSource, a popular independent game development community that I frequent. This would be my first jam, too, since I had not attended the previous ones and I really had no idea what to expect. The jam was hosted at the Hacker Dojo in Mountain View, CA, courtesy of Derek Yu, Jeff Lindsay and Matthew Wegner… and of course, all of the brilliant and creative indie game developers who attended. There were special guest appearances by “indie game heroes” such as Ron Carmel of 2D Boy and Edmund McMillen of Meat Boy fame, who gave brief speeches in a feature called “What’s on my mind.” Needless to say, it was great to see a few familiar faces including the team of 2D Boy and a few friends I had made during GDC earlier this year. In terms of my goals for TIGJam 3, I really had no plans beyond making a relatively simple, top-down arena shooter game (seen above). This game was originally influenced by the simplicity, clean readability, and fun of JW’s Super Crate Box, but it began to develop into what I would consider a spiritual successor to one of my favorite NES games of all time: The Guardian Legend. I was considering making this game a nod to the indie community by making the player’s objective to rescue notorious indie developers such as cactus, Derek Yu, Paul Eres, and Phil Fish. Though I hadn’t gotten as much done with the game at the jam as I had wanted to, I did get a lot of help on how to troubleshoot some of the problems in GML thanks to Alec (aka malec2b), who also walked me through creating an array to handle the game’s mini-map feature. Finally, I met a musician by the name of Stevie (aka hryx) who was able to produce an NES-inspired tune that was perfect for the game. But the real highlight of TIGJam 3 for me and many others was my ‘masterpiece’ game, Madhouse, which is probably my best-known and most developed body of work. Originally, Madhouse was conceived as a local, two-player deathmatch game made with Game Maker starting in 2004 and ending in 2007. 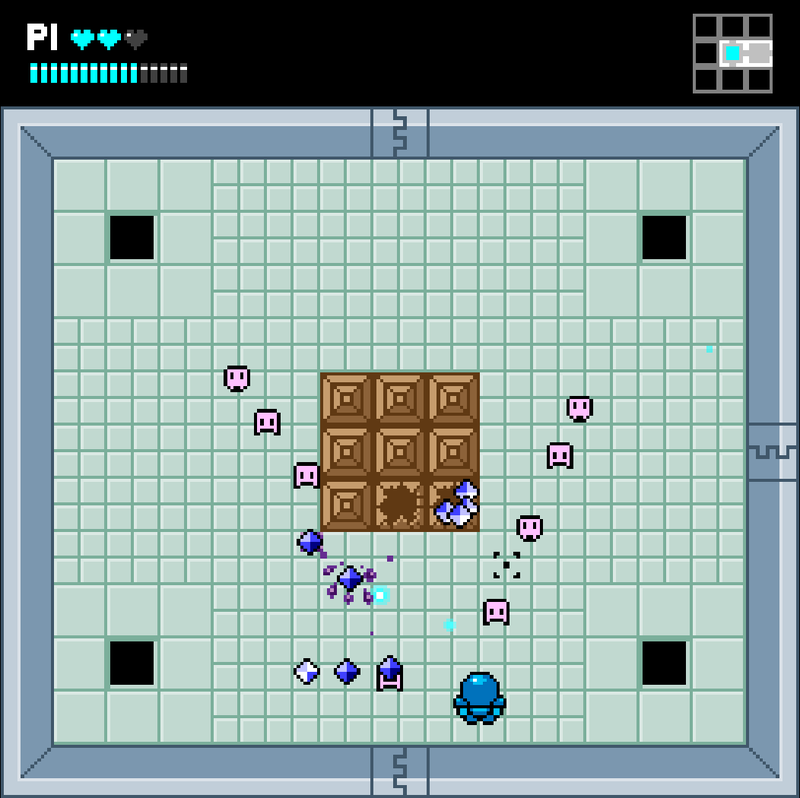 While the game was lauded by many as a “perfect” or “masterpiece” game by Game Maker standards, it remained largely obscure to the indie game scene as a whole. Since the game was meant to be played as a versus style game, the single-player mode was tacked-on as an afterthought for players who didn’t have the luxury of having a second player. Unfortunately, this single-player mode became the experience of Madhouse by many who played the game, who completely missed out on the game’s most compelling feature. Now, in 2010, I decided to take the opportunity to get people to try out the versus mode at the jam. At first, a few people came to check it out and got into it. The next day, I found out that Randy O’Connor blogged about it at Gamasutra, which was really awesome for me to get some exposure on such a prestigious gaming site. The following night, we decided to get the remaining 20 late-night attendants of the jam to sign up for a Madhouse Tournament that was played on the projector while I gave commentary over the microphone. 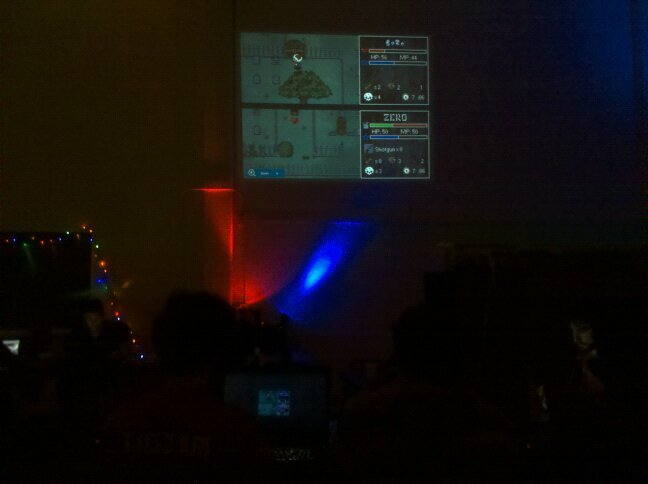 The tournament was a hit with many people tweeting about it and some considering it the highlight of Tigjam 3. Today, it enjoyed the honor of being my first game to be featured on TIGSource. Overall, I am happy that this game was able to be experienced by the indie community as it was meant to be played. Now, after having met with many incredible and talented people who are willing to help out with a revised version of Madhouse, I look forward to what the future will bring. Posted by phubans on November 2, 2010 in Madhouse, TIGJam and tagged indie, Madhouse, The Indie Game Legend, TIGJam, TIGL, TIGSource.